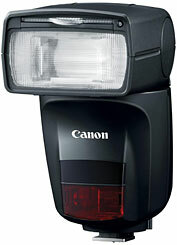 The Canon Speedlite 470EX-AI is engineered to change the way you think about flash photography. As the world's first flash with an AI Bounce function (Auto Intelligent), the Speedlite 470EX-AI is equipped to detect the distance to your subject as well as the ceiling in order to calculate the ideal angle for the flash to achieve desired results, automatically. That's right, the flash head swivels in multiple directions to formulate the ideal bounce flash angle while you simply watch it work. The Speedlite 470EX-AI can even maintain defined exposure and bounce angles when you're alternating between horizontal and vertical compositions. 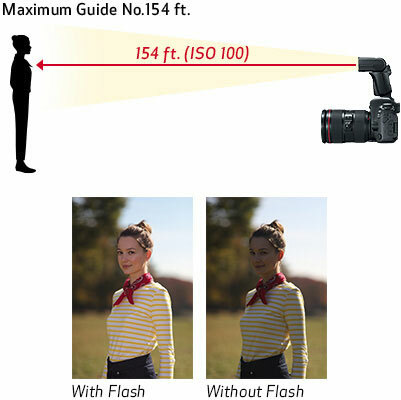 In addition, it boasts a powerful maximum guide number of 47 (154 ft./47m) at ISO 100, a zooming flash head and numerous features for versatile and powerful flash photography. With its revolutionary Auto Intelligent (AI) Bounce function, the Speedlite 470EX-AI delivers a level of advanced, automatic operation that makes sophisticated flash photography both simple and fast. By automatically calculating the distance from the flash to the subject along with the wall or ceiling, the Speedlite 470EX-AI determines the optimal bounce angle and swivels into position to capture the appropriate camera exposure and flash output. 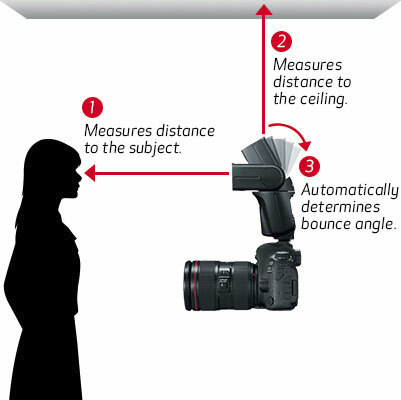 It can maintain the same bounce angle even when the camera orientation is switched between vertical and horizontal - simply tap the shutter button twice to automatically reposition the flash head, preserving the same bounce angle and saving time to help prevent missed shots. 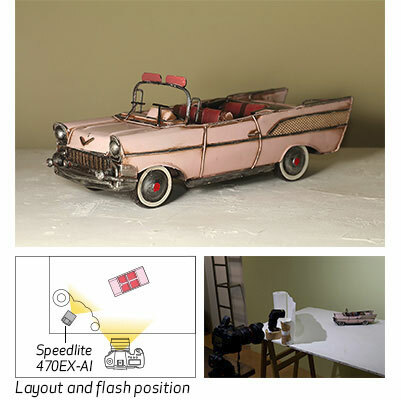 Thanks to AI Bounce, professional-looking flash photography can be achieved with ease. 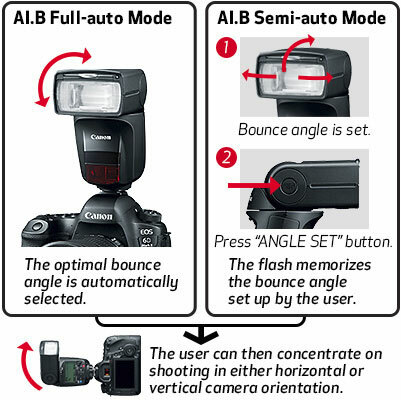 Featuring full and semi-automatic modes, the Speedlite 470EX-AI's Auto Intelligent (AI) Bounce function enhances the photography of bounce flash beginners and experts alike. With AI.B Full-auto mode, the flash can choose the optimal flash angle and exposure parameters, delivering natural lighting effects with ease. With AI.B Semi-auto mode, users can determine their own bounce settings and the flash can automatically maintain its angle even when the photographer changes between horizontal and vertical camera orientation. 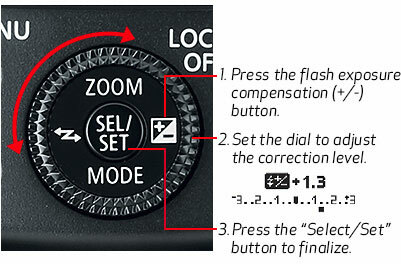 All you need to do is press the shutter button twice and the flash head will automatically move into position, providing fast flash shooting with minimal interruption. 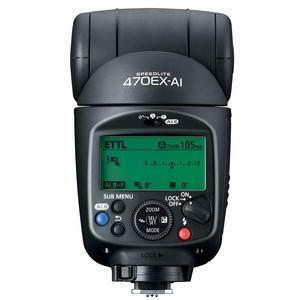 Boasting power for numerous shooting situations in a compact and lightweight package, the Speedlite 470EX-AI has a guide number of 47 (when focal distance is at 105mm). Even when shooting with telephoto lenses, or if the subject moves away from the camera, the Speedlite 470EX-AI can provide an ample burst of light for bright and evenly illuminated compositions. 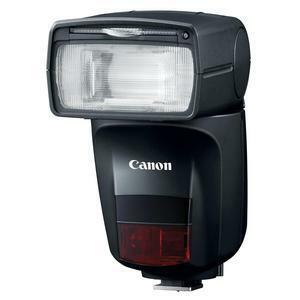 The Speedlite 470EX-AI is designed to help the camera achieve sharp focus, especially in situations where the AF system may experience difficulties. With a default infrared beam system, the Speedlite 470EX-AI emits a steady infrared beam toward the subject, even during bounce shooting. This helps achieve sharp AF using up to 19 of the camera's AF points. When the chosen AF point is towards the edge of the frame, the Speedlite 470EX-AI can emit an intermittent series of flashes that illuminate the entire frame, helping to ensure sharp focus and matching flash output throughout the composition. 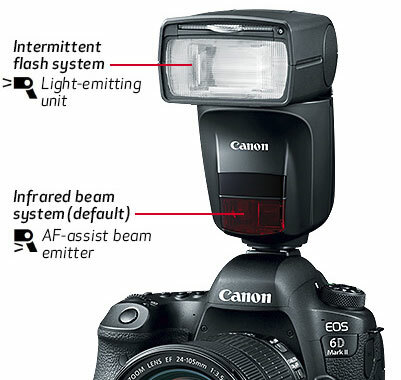 The Speedlite 470EX-AI has a broad flash distribution range of 24-105mm. 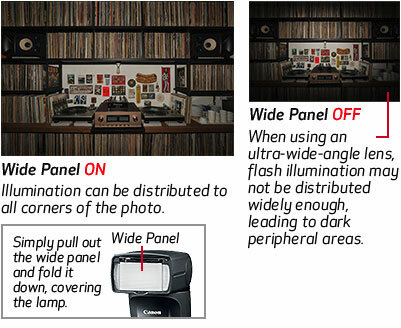 This is wide enough to distribute light evenly to all corners of the composition, even when a wide-angle lens is selected, and powerful enough to illuminate subjects that are not directly in front of the camera. A built-in wide panel easily provides even more diffused light distribution for focal lengths as wide as 14mm (with 35mm full-frame sensor), minimizing vignetting even in the corners of the composition. To modify the balance of light between subject and background, the Speedlite 470EX-AI's exposure can be adjusted within a range of ±3 stops in 1/3 or 1/2 step increments. A built-in dial makes it fast and easy to make these adjustments on the fly. 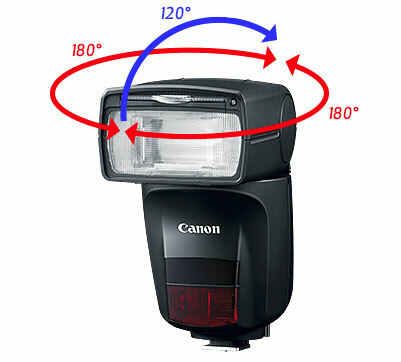 The Speedlite 470EX-AI has a flexible bounce range, and is capable of angles up to 120° upward and 180° horizontally. With AI Bounce, these settings can be near-seamlessly maintained regardless of camera orientation. With custom functions, advanced users can even define the maximum bounce angle and other parameters for semi-automated operation. 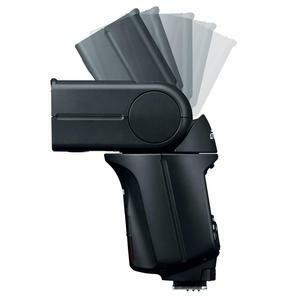 When used with a compatible flash or a Speedlite Transmitter mounted on camera, the Speedlite 470EX-AI can serve as a receiver unit in an optical wireless flash setup, at distances of up to 49.2 ft./15m (indoors). This means the Speedlite 470EX-AI is easy to incorporate into comprehensive lighting set-ups where multiple flash and camera units are synchronized to take photos simultaneously. With the Speedlite 470EX-AI, multi-angle and multi-directional photography are both quick and easy. Along with providing critical exposure and flash settings, the Speedlite 470EX-AI's built-in LCD panel keeps flash charge condition and a flash-ready lamp on near-constant display. 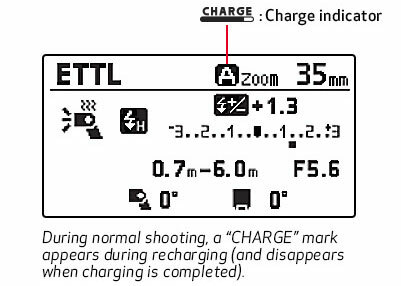 This makes it simple to assess whether the flash has recharged with a quick glance at the screen. 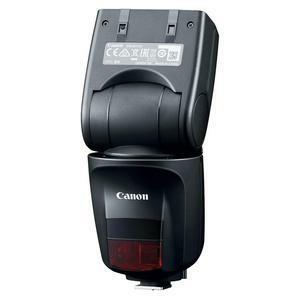 The Speedlite 470EX-AI comes bundled with a mini stand, dedicated bounce adapter and case. Ideal for providing diffused soft light, the new Bounce Adapter SBA-E4 helps ensure natural-looking, detailed images with suppressed shadow effects. 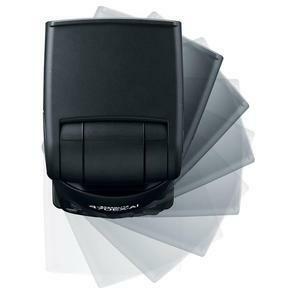 The mini stand can help enable off-camera use when the Speedlite 470EX-AI is being used as a receiver flash unit. 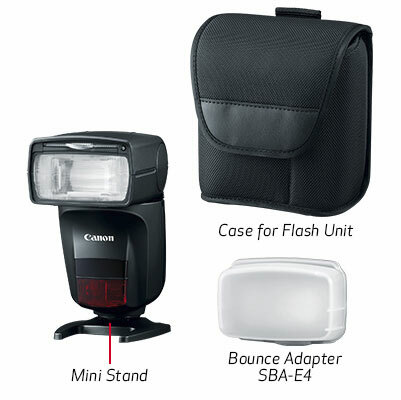 The flash, bounce adapter and mini stand all fit easily in the Speedlite 470EX-AI's included case. 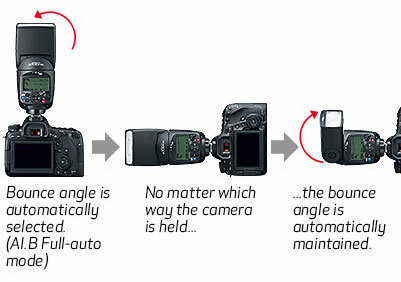 Notes: Some functions (Auto Bounce) are available only with compatible cameras. Please see official Canon USA website for full compatibility information.